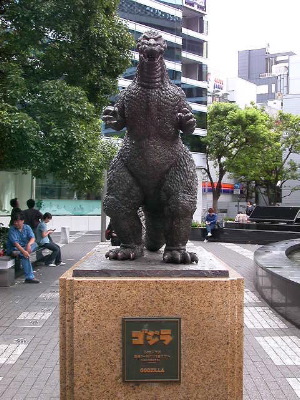 This is the statue of the fearsome, monstrous, terrifying, awe inspiring, Godzilla. It is small and tough to find, buried in Ginza between upscale stores and gleaming towers. Apparently a new larger more impressive statue of Godzilla has been errected in Tokyo, maybe it is time to return for a visit.